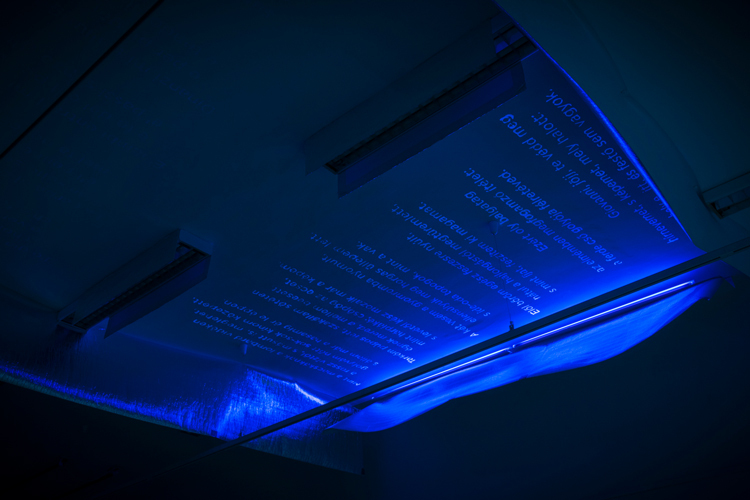 For the exhibition 20 Years of Helikon in the Nagy Balogh János Gallery, I've made an installation on the ceiling. 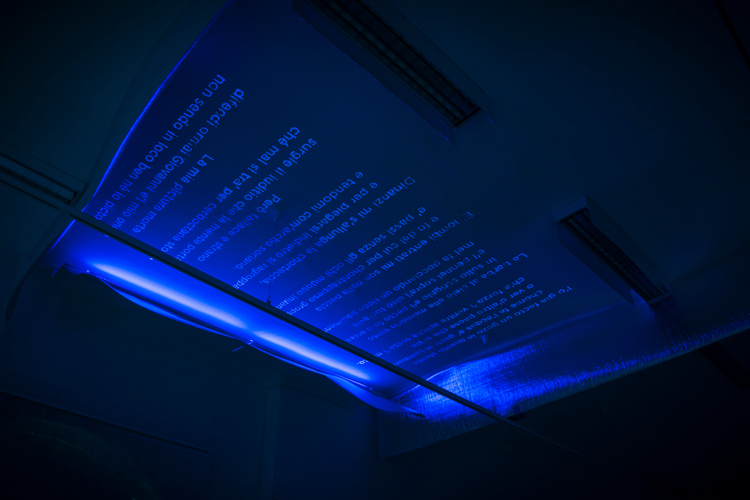 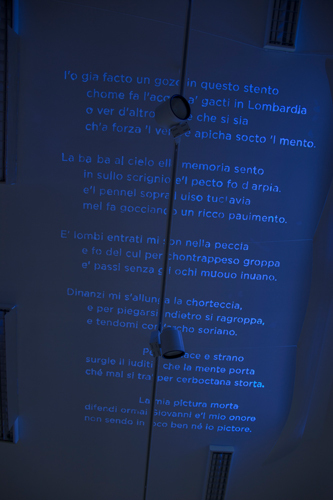 I've painted Michelangelo's 5th sonnet with UV-light, both in hungarian and in italian. 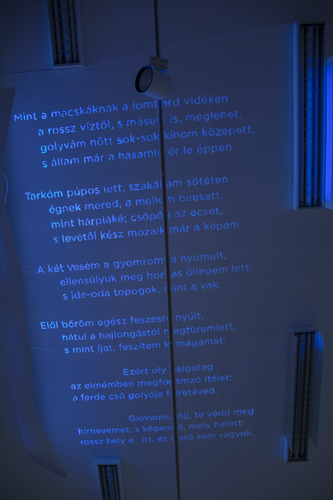 The two versions were visible separately, either in one or the other language for 20 seconds each.